May buy 2 for yourself and 2 additional as gifts. May redeem 1 per group per visit. Valid only for pickup. Must use entire value in 1 visit. Only valid at the Orem location. Expires 4 months after purchase. See the terms that apply to all deals. 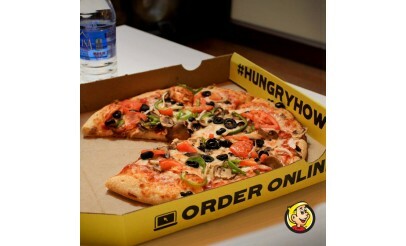 Home of the Original Flavored Crust® Pizza, Hungry Howie’s Pizza makes every item fresh, fast and just for you. 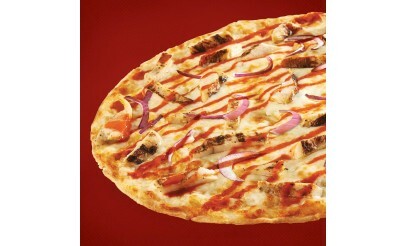 Crustomize and customize your order with a wide selection of toppings. 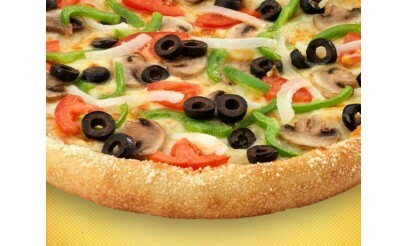 Made from only the freshest ingredients! Not in the mood for pizza? Hungry Howie's also serves bread, hot wings, calzone-style subs and crisp salads. At Hungry Howie’s, they have combined the right ingredients and years of successful experience to create a superb, growth-oriented business operation. 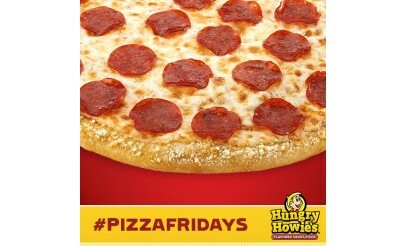 Their delicious, high-quality Flavored Crust™ pizzas, calzone-style subs, and salads uniquely position Hungry Howie’s in the pizza marketplace, allowing them to fully capitalize on the fastest growing segment of the food service industry.